Sometimes you find clues of your kids' financial education progress in the strangest places. So the letter ended with her first name, but since her school is so small and her name is slightly unique, most of our friends and family knew who had written the letter. Within a few days, I got a text asking whether we had enough to eat at our house, in addition to many in-person comments. We even got a note in the mail with $5 telling us to buy a couple of loaves of bread. I thought it was funny how this got so distorted, but I wondered if I had somehow passed on the wrong message to our kids. I don't call myself an experienced parent; but I have noticed that kids seem to pick up more what we do instead of what we say. But where did my daughter get the idea that we didn't have enough money for food? Probably two places. First, recently, I performed an experiment for two months, in which I paid for all our groceries with cash. If we didn't have extra cash, I didn't buy the groceries. (But we always, always had more than enough to eat.) Since my kids often go grocery shopping with me, they observed me opening the envelope of cash and considering all our food purchases. I probably didn't explain that we could have purchased all of the food we wanted but that I was curious whether this affected our food budget. Second, we used to allow the kids to buy school lunches whenever they felt like consuming breaded, processed food; but $2.60 times two kids per day, five days per week adds up … to over $100 per month! It's not that I have anything against corndog nuggets, but I thought we could pack lunches with more nutritional value at a lower cost. So I asked our kids to limit their school lunch purchases to twice per week. To me, it made sense — but teaching your kids to be frugal is no small task. And who knows which messages they are actually internalizing? I had heard of it. Kids who delayed gratification and got two marshmallows had better life outcomes such as SAT scores and BMI measurements than the kids who wanted a marshmallow and wanted it right now. She is right. Our daughter seems to enjoy saving money. If she gets 20 bucks for a birthday present, she asks to put all or most of it in her savings account. If our other child gets money, he has to spend it. He has rarely saved more than the household-mandated 10 percent. On the other hand, he is very generous with everything he has, while our daughter keeps a close watch on her money and her toys. As I thought about the differences between my children, I came up with my new, number one rule for raising frugal kids: Don't expect them to be super frugal; instead, help them to be more frugal than they would have been. 1. One way we can help our son is to encourage him to make good frugal choices and turn them into habits. He is very good with routines and lists. Because saving 10 percent of the money he gets is a rule in our house, he has no problem doing that. He doesn't even think about it. But he would not normally make the choice to save more than is expected. This seems advanced for an 11-year-old, but I think scheduling ways to save money (e.g., putting “call Internet provider to get lowest price” on his calendar every January when he is old enough for calls like that — yikes!) is something that would really work for him. Or when he gets a job, we could talk through what will happen when he gets a raise. Will he save his raise or slightly increase his savings rate? 2. With a child who can defer gratification (like our daughter), I think I should spend more time talking about how her actions today will improve her tomorrows. Deferring gratification just doesn't seem to take as much effort or energy from her. 3. Sometimes, being frugal requires great persistence. If money is scarce, it gets old saying no to purchases that don't fit my values or my budget. And guess what? One child is very persistent and one has something I named “challenge fatigue” where, in the face of a challenge, he gives up. My daughter's stubborn nature will probably take her far enough without too much encouragement from me, but I need to find ways to motivate my son. Creating a vision board of what he wants might work, but maybe just breaking down his financial goals into very small, easy tasks/chunks will help just as much. 4. Let them make choices while living in the safety of your own home. Just two days ago, my son spent $4.20 on a cheap plastic play kit. I gritted my teeth as he made the purchase, but beyond asking whether he thought it was a good use of his money, I kept my mouth shut. No matter if my kids end up to be frugal adults, I hope they use their talents wisely. And I hope I can always see the benefits of each personality. How do you teach your children to be frugal? 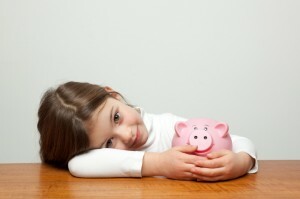 Do you tailor your financial education to your child's personality? 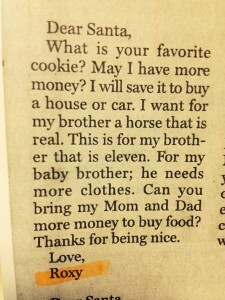 There are 39 reader responses to "How to raise a frugal child". Anyone who has more than one child will attest that each kid will deal with things differently. Especially money. I taught my kids both the same things and they both came away with a different take. One understands frugality and the other feels it is a form of deprivation. I think “Letting them make choices” is a good rule of thumb….as long as you let them live with the consequences. One teen daughter decided to spend a third of her clothing allowance on a very expensive pair of sweat pants. I warned her and then had to hold strong as she only had 2 pairs of pants, including those ugly sweatpants, for 6 months until she got her next allowance. I did not give in and she has made much better choices since then. I could write almost the same comment LOL. I have three all different with money – and the one who spends the quickest also is best at delayed gratification in other ways – weird. I like that you have a household rule of 10% savings–I think that’s a great idea. We don’t have kids yet, but I think tailoring financial lessons to each kid’s individual proclivities makes perfect sense. Further, I think adults operate in much the same way. Everyone has a unique and often complex relationship with money and identifying the system that works for you is paramount. Your #1 rule for raising frugal kids is a good maxim for all ages! I remember in 3rd grade telling a friend at school that my family was really poor. We were far from it! Where did I get this idea? I overheard my dad talking to my mom, and he said “We’re down to our last $20.” He was talking about cash on hand, reminding her that he was going to be stopping at the bank after work. But all I heard was that we only had 20 bucks to our name. Funny what kids pick up on and how they interpret it! My oldest son is frugal = deprivation. He understands the benefit if delayed gratification but cannot do it alone. He needs instant gratification. He asks me to hold the money he wants to save so he does not touch it. So, do I hold the money to help him reach his goals (used car) and finally see the benefit of delayed gratification? OR Do I tell him to just keep the money in his own savings account and not touch it. When he moves out on his own he will not have mommy there to hold his hand through these things. Oldest son is a spender. Middle son is a saver. Youngest son is a giver. I have often thought about this too. A similar question, Is a mandatory savings rule really a good thing? What happens when my kids are making their own financial decisions? Will they still choose to save any money at all? Teaching discipline for anything is tough…especially since I don’t have it mastered. YES. To not make it mandatory is kind of like telling your kids that they don’t have to eat their vegetables now because when they go off to college they can eat whatever they want anyway. Sorry :) That’s the teacher in me speaking. As parents, teachers, coaches, role models, etc. we should give kids the tools and strategies to be success — even though we can’t guarantee that healthy habits will follow kids into adulthood. I’m a big fan of the 10% rule because it worked for me. (I actually saved a lot more than that, but that was the rule). It taught me and my siblings that no matter what, you lived below your means. I require my children to put 50% of everything they earn in savings. That is savings not to save up for something they want, but savings that is their wealth builder. Like saving forever till retirement. Most of this money then goes to purchase dividend paying stocks with a DRIP (dividend reinvestment program. I never ‘lend’ my kids money either. If they want something they have to save for I with the money they haven’t ‘saved’. The rest of the money they can spend anyway they wish. This is one of the flaws I see in the authors comments. You don’t have to be always delaying gratification. I wouldn’t have asked my child if they were about to purchase a cheap plastic toy, if they thought that was a good use of his money. If I knew that he wanted an item which required him to save up(a large LEGO kit, or a laptop) I would remind him about his desire for the other item. Just because I know as an adult the lure of the impulse purchase. I have had my kids doing this since they began getting allowances in kindergarten and I can honestly say that they never have enough money for the things they want in life. To put it in perspective, my 17 year old gets $10 a week, and my 10 yr old gets $4 a week for allowances. It is important not to give kids too much for allowance so that after putting away the 50%, they learn that they can still feel satisfied if they have to wait 1,2,or more weeks to have enough money for the things they want. I did not mean to say that they do not have enough money! I meant to say that they never feel that they don’t have enough money for the things they want. But sometimes they have to wait a week or two to get it. Some adults deliberately tie up their savings in CDs so they can’t spend it frivolously. Some people choose not to have credit cards because it is just too tempting for them to resist. To me it sounds quite mature for your son to acknowledge his spendy tendency and intentionally strategize how to deal with it. Why not offer to set up a subsavings account specifically for a car, and see what happens? I remember my sister’s children thinking that the ATM was like a money machine that just dispensed money freely whenever your needed it. My sister would say, “we’re not doing that today because we don’t have the money”, and her kids would say, “why can’t you just go get some?”! My oldest child is only 10, but I have already had several conversations with my children about money. Mainly about how credit cards work. I want them to understand that when we pay with something with our card, we’re still paying, just in a different way. I also stress the point that we never charge more than we can pay when the bill comes due. Even my 6 year old knows that borrowing money is not a good idea since you have to “pay it back, plus extra”. They save, give and spend a portion of any money they receive. My oldest two are only a year apart, but are as different as night and day about pretty much everything. It will be interesting to see how their differences in handling money will play out as they grow up. I’m not sure if I’ve classified my three children yet. They all might be spenders. :( I found the best way to teach them about money is about things they have interest in. We have a great discussion on smart phones, cost and monthly bills. How many hours you’d have to work to pay for one, etc it was an good lesson for them. My parents had a similar way of teaching us this kind of lesson. Of course there weren’t any smartphones, but if we were making a purchase at a store with our money, they would ask us if we really wanted to buy it (particularly if it wasn’t something we were planning on), or if we wanted to wait X number of weeks until we would have enough money to buy something they knew we were really interested in. Sometimes it worked and sometimes it didn’t, but I think this helped me nip spending impulses in the bud from a young age. Saving has no value besides giving financial freedom. There is no merit in saving to save. Money has no value other than that it helps us have the things and experiences (both are important) to enjoy our lives. Outside of that it has no importance. I came from a family where we would definitely classify as spenders according to your paradigm and my parents and I myself have made plenty of financial mistakes. However, I have never felt a lack of anything that I really wanted and I have been instilled with an ethic of being generous and the pleasure of giving. Clearly there need to be certain boundaries. It seems you are more proud of your daughter who seems to be a bit lselfish when it comes to her toys and miserly with her money. Even if she ends up extremely successful financially and her brother ends up broke and in dept but is loving and ggenerous and kind, I’d say you should be more proud of the brother. He’s already saving 10% and its not like he has to worry about emergency household expenses. it doesn’t seem like he’s addicted to expensive video games or status symbols, he is just a kid and is willing to spend 5$ for a little bit of fun. So what if his cheap plastic toy breaks? it’s not like he needs it to last him 20 years or needs it to get him to work everyday. Ack, sometimes I sound so one-dimensional when I’m writing. I am very proud of my son for his generosity and for my daughter’s frugal tendencies. I am also concerned about my son’s frugal challenges and my daughter’s less generous nature. We all have good points and things we need to work on. We just have to find different ways to improve, depending on our natural tendencies. But you bring up something that I grapple with often: since money is just a tool, how do I instill in my children the wisdom to use it wisely, to make their world better, to decrease their stress levels so they don’t worry more about money than they need to? I agree. That was a very classy response to some harsh criticism. I have often made comments that were totally misunderstood because there is no way to properly communicate the months or years of background information/observations that have contributed to forming my opinions. I will also say that not only is learning by example excellent for the now – it will enable even the most dramatic spender to find a new way to live when they’re ready – because they’ve lived it – and can ask you about it – or at least know that it’s POSSIBLE to live a different way. I spent rampantly as a young adult even thoughI had very financially responsible and fairly frugal parents. I was living in manhattan making a ridiculously large amount of money for a young adult – and still wound up in debt! But when I was ready to change, I knew just how to do it – and I did, thanks to good examples in my youth! When I was in 1st grade, my grandmother gave me $100 for my birthday. She did the same every year until high school. My parents never allowed me to spend it. When I was a freshman in college, I decided to spend a summer in Egypt. That money that I saved from 1st grade funded my entire trip to Egypt. Plane tickets, rent, food, Arabic classes, etc. It was the best time of my life. I now have 2 young kids, 7 and 3.5 and my 7 year old has nearly 250 saved up. I’m so proud of him. He still likes to buy toys, but he understands that most toys break/get old, so he’d rather save his money for something big. I remember thinking we were poor when I was growing up because we always shopped at this super cheap outlet mall for clothes while my classmates had trendy, more expensive clothes. Now, as an adult, I can appreciate my parents’ spending habits (living below our means) and apply many of their spending/saving principles to my financial life. Oh Man, that’s some letter to Santa! I’d really like to know what she was thinking when she came up with that one! I hope that our Little Miss grows up to be a frugal superstar, but I’d settle for an adult who is responsible with her money and lives within her means. What a great article. Teaching kids good money habits while they’re young should be at the top of every parent’s list. This can have lasting effects on the way they save and spend. I honestly cannot ever remember my parents having a direct conversation with me about frugality when I was a child. Now that I’m an adult, and our relationship has changed, we talk a lot more openly about money, and I’m surprised at how much we agree on things like purposely living below our means. I suppose that I learned just by observing the way they did things: couponing, buying generic brands for many things, buying household necessities in bulk all at once from Sam’s Club, etc. I’m quite happy with that, and in fact may have gone the other way if they had pushed frugality on me too much, so I think at the very least that people should try to teach by example. Put your money where your mouth is. This was one of the best articles I’ve read on teaching children frugality. I’ve never thought about tailoring my teaching to the unique personalities of my kids. That’s a great point. I love how this article encourages using different strategies and tactics that work for your children’s personalities, abilities and motivations. It’s important to have consistent rules like always saving 10%, but one-size-fits-all advice doesn’t work for adults so why do we expected it from kids? Kudos! Lisa, I hope you’ll post an update as to how these strategies are working. I am one of three adult children and the three of us got very different messages from our parents behavior. My Dad was obsessed with paying off the mortgage. He worked two jobs so that it would get paid off while my mom stayed home. No vacations until the mortgage got paid off. I learned get out of debt, save money–delay gratification. I also believe that money will get me the things I want in life. My brother heard–you’ll never get the things you want so he became a spender. The oldest gets by but does not feel she has abundance with money. If I were to parent us I would show that you can always get what you want when you set priorities. That gives a better balance between saving and spending. Great ideas! I think frugality, like anything else, is a matter of habit. It might be hard to adopt in the beginning, but as soon as you start noticing the benefits, you realize that you want to go even further than you had envisioned. This is happening to me with my Less is More project. And the kids? They love getting our attention way more than getting stuff! I think I’ve to some degree taught my son the importance of frugality, savings and investment by playing Monopoly with him on a regular basis. He understands that he will get wages every time he goes around the month which I explain is his wages. I have also taught him to save the money and made the distinction between collecting and paying clear. He now hates to pay for items unless he really needs it. He has also learnt the importance of investing because he can collect a return. i too hope I am sending the right message and only time will tell. As long as I do the right thing I think I’ll be OK. 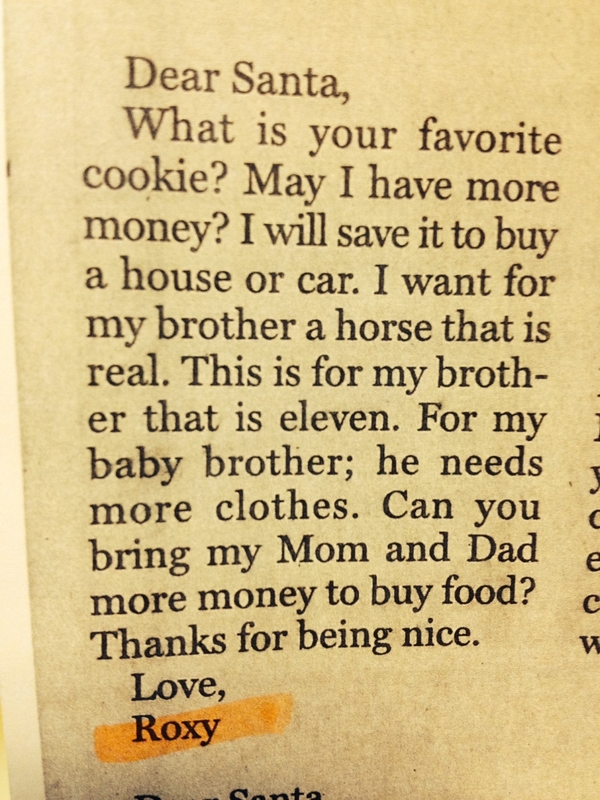 I love the fact that her daughter is thinking about what Santa can bring for the entire family! That speaks to her character. What a blessing. Great tips! We don’t have kids yet, but are planning to soon. My spouse and I often talk about how we would teach them the value of money and good financial habits. It’s a shame that our school system totally lacks financial education. Thank you Lisa, this is so true! Now that we’ve passed the Christmas Holidays we see how our kids don’t even play with the tens (close than 40 presents of all sizes that they’ve got from friends and family). When just a few weeks ago they suffered if they didn’t get as many presents as the next kid, or didn’t get the exact toy car they’ve asked for. Frugality is like you say a matter of education. Something that if learned when young will help for the rest of your life. I’ll link to your article in my Twitter and Facebook accounts. We freakin’ worry too much. Do what you reasonably can to teach them. The best way is to walk your talk, since they observe more than listen. Don’t forget to explain things you do in a context they can appreciate, though they may not understand until they hit their twenties or thirties. Stick to simple messages of value repeated to them like a commercial jingle you can’t get out of your head. I really like the saying, you can have anything you want just not everything you want. That’s a really good one to use before the Holidays or Birthdays. Once they hit the teenage years and become convinced you don’t know squat, they will garble your messages and intent to the point you think there is an invisible filter between what you said and what they heard. There is, it’s called hormones. On the flip side, we have a wealth of experience behind us that we sadly assume is similar to theirs when we talk money, because they grew up in our homes, right? Yeah, expect to be misinterpreted on a routine basis. Above all be clear on your expectations. To my children the expectations were they would either pursue some kind of higher education beyond high school (e.g. college, trade school, etc. ), join the military, get a job and start paying rent, or get out of my house and seek succor from Grandma. The bottom line expectation was to get the heck off my dime. While I prefer them happy and rich and all that, the biggest deal is to just get the heck off my dime. So far, so good, but as a wonderfully caring parent I’ve found it hard to let go and wanting to help them pay off some of their debts, at least until I hear about their planned trip to Bermuda or weekend on the slopes skiing, etc. Then I feel fully justified in sitting back and watching them struggle. As I tell my kids, there’s always a cot by the sump pump if they need a place to crash and recoupe after they move out. Frugality in my mind, is a lifestyle choice. My view as a parent is not to force our child to be frugal or lavish with money, but to teach them basic money management skills and let them make their own decisions regarding how they want to manage their money. I think the important lessons are more about debt and being able to delay gratification for a better reward. I think those lessons are valuable in regards to finances and outside of that realm as well. Self-restraint, making good decisions, and not living life solely for materialistic things are all great life lessons, but if my children decide to take a different path, they can’t ever say I didn’t show them another way. We jokingly call him Mr. Krabs. When our boys receive cash presents and earn allowance, it is earmarked for savings (45%), spending (45%), and charity (10%). Every 6 months, we add up all the money they’ve saved in the charity box, match the amount they’ve saved, then pick a charity which helps children in some way. We help the boys narrow it down to 5 or less options, then let the boys select the charity. It seems to be working – both boys are actually savers by nature, so every once in a while we force them to spend a little something on themselves, too. This is an awesome post, and I think you’re getting the balance right. I wanted to point out to people that you can actually overdo teaching about frugality. My parents were very good at teaching my sister and me the value of savings (both through words and actions), but now that we’re grown up, they have had to start teaching us how to spend. Case in point – I am now 25 and have been in work for 2.5 years since graduating from university. I have almost a full year’s salary in general savings (excluding pension, to which I have always made the maximum contribution my company allows). I know I’m lucky to have a really good job, but the point I’m trying to make is that I should not be worrying about sensible expenditure. But my parents had to cajole me for almost a year before I replaced my laptop, which was six years old and pretty much unusable. I just find it really hard to spend a large amount of money on anything, even when I can see that it makes complete sense. This is a million miles better than being in debt, but a bit of moderation would help. When I think back on my parents’ spending, they never held back on the things that mattered, and they would spend more to get quality, long-lasting products. But what I took away as a kid was that you did not spend unless it was absolutely necessary. I grew up in a house where my father was a gambler and money would be gone before it arrived, my mother was a saver (probably through necessity driven by the behaviour of the other parent). My early attitude to money was that it is there to be spent and had no qualms borrowing more when required (even for things i didn’t really need) but only if I had a plan of how it would be paid back (student loans, credit cards, store cards etc). I am now in a position where all of my debts are cleared and fortunate enough that my income is much higher than my out goings. I am still open to taking loans if required but acknowledge that the trade off is interest payment – understanding the true price of what you are buying includes all of the interest payments as well makes it a more informed decision – do i still want to buy it? Sometimes this is yes, sometimes this is no. We now have 2 children (age 2 & 5) and are starting talk about spending and saving with the older one. I am less concerned with where they will sit on the spender versus saver spectrum as long as they live within their means. If this means they only save the minimum for their future or save 50%+ for the future as long as they are prepared to adjust their expectations to match then I will be happy. My ultimate goal is that we educate them that money is a tool, not a goal. If they want more they save it or they earn it, and if they have to borrow it they are informed enough to know the implications and the true cost of borrowing and they decide whether or not they still that purchase right now.